Restorative dentistry is often complicated by reduced inter-arch clearance and reduced crown length. When confronting the option of restoring vertical dimension there are several factors to be considered. How much vertical dimension should be restored? Can it be accomplished conservatively? How much can the patient tolerate? This presentation will review several animal and human studies dealing with increased vertical dimension. A variety of restorative means to regain and maintain vertical dimension of occlusion will be presented. Dr. Robert Simon graduated from Cal State Fullerton and then USC dental school. He earned a certificate in periodontal prosthodontics at University of Washington returning to practice in Anaheim with his father, until 1989 when Herbert retired. 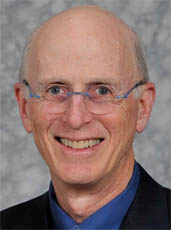 He is a fellow of the American College of Prosthodontists, a life member of the Pacific Coast Society for Prosthodontics and a member of the Academy of Osseointegration, the American Academy of Fixed Prosthodontics, the Orange County Dental Society, Alpha Omega and the Rotary Club of Fullerton South. His practice limited to prosthodontics has been located in Fullerton since 1997. At USC he has been a part time faculty member for more than 30 years and is currently a clinical instructor of fixed prosthodontics.